Machines carried out under the system PERFECT GEOMETRY get an optimal biomechanical regardless the height of the person. 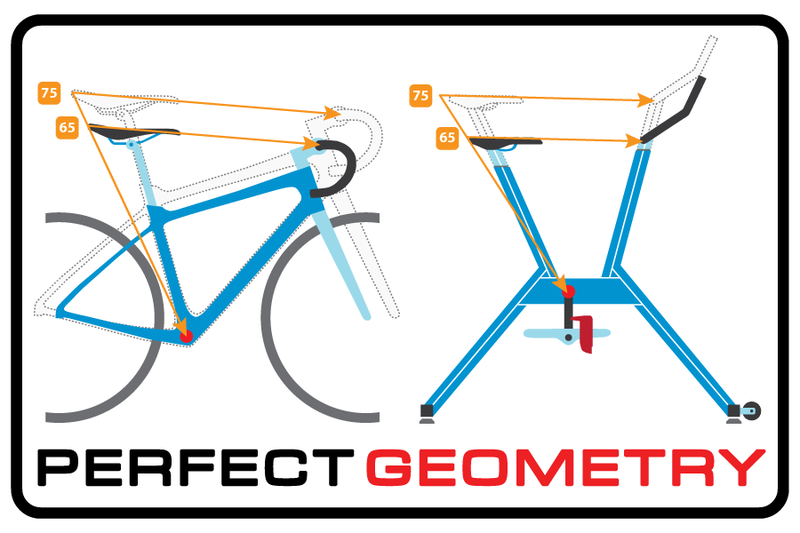 Its design is based on a map of movement ‘points for 6 different heights of users: 1.50, 1.60, 1.70, 1.80, 1.90 and 2.00 meters, obtaining the perfect bike. 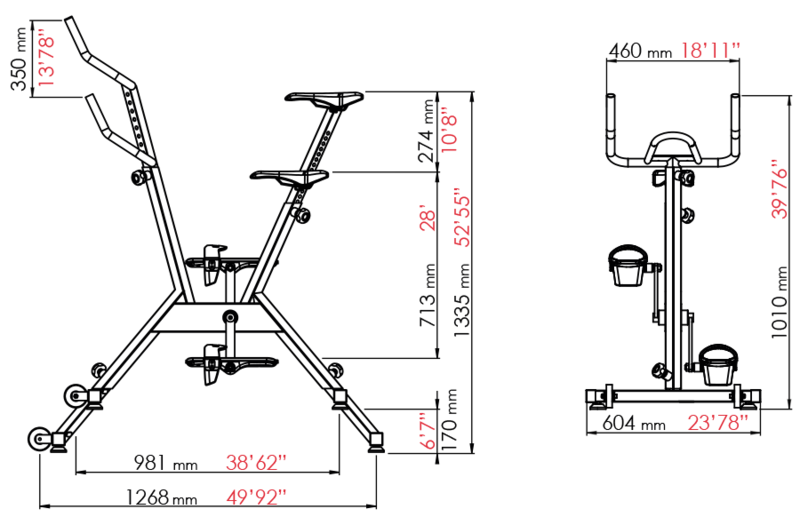 The incline of the seat, handlebars and pedalier match up with the standard sizes in a conventional bike. In this way, not only eliminate we unnecessary regulation systems, but we avoid that the customer adjusts this fittings in a wrong way, causing an inadequate posture with risk of injures. 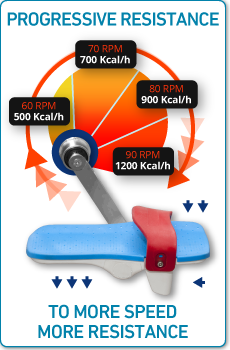 Hydrodynamic and biomechanical researches have made possible the conversion of this progressive movement into a high quality isotonic work. POOLBIKING, Aquabike or Hydrobike sessions take a new dimension with Veracruz. 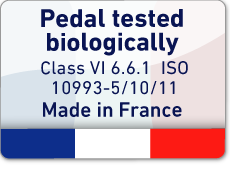 The responsible: its progressive pedal. Model adapted for people from 1.60 to 2.00 meters in height. Anyone, regardless of his physical condition. We have found better results with non-regular fitness users. 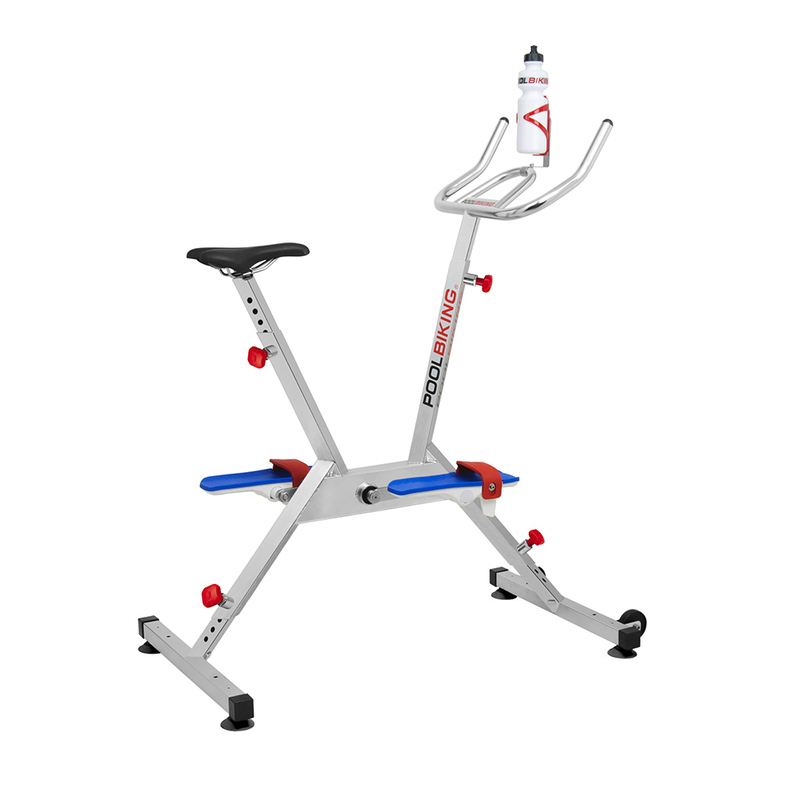 It is suitable for weight loss, physiotherapy and people with arthritis, rheumatic diseases, varicose veins, cellulite, and in general, to improve fitness conditioning. Reinforced build for intensive or professional use in AISI 316L stainless steel with electro polished protective treatment. Large stainless steel watertight bearings on central pedalier. The only system that guarantees a perfect rotation. 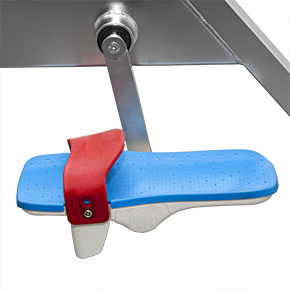 Adjustable pedal which adapts to any foot size, extremely comfortable to use with barefoot. POOLBIKING VERACRUZ is an excellent tool of cardiovascular exercise, joints do not have pressure, avoiding hurt. The consumption of calories is higher than 500 cal/h. The continuous resistance of water increases the muscular work. There are more and more aquatic areas in fitness centers to decongest the cardio halls. 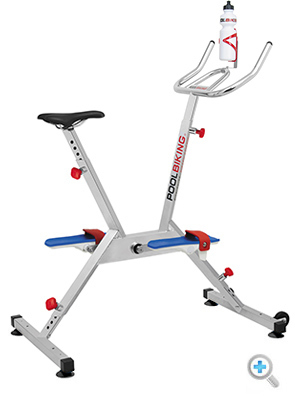 POOLBIKING gives the best tools of cardiovascular exercise adapted to the use in pools.